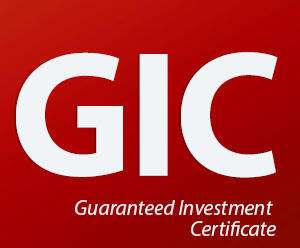 If you are applying for Canada, GIC is the very useful process for you. This blog will tell you the use of GIC. According to Citizenship and Immigration Canada guidelines, any student applying for a Visa with an admit to an SPP College is required to purchase a Guaranteed Investment Certificate (GIC) of CAD $10,000 from Nova Scotia Bank to cover living expenses per year while studying in Canada. Here is the process for GIC through ICICI Bank. Going forward ICICI bank has also been approved as an authorized bank to issue a Guaranteed Investment Certificate to cover living expenses of a student while studying in Canada. In order to initiate the application process, you will first need to register for the ICICI Bank Canada Secure Email Service. Click on link below, enter your personal email id in the email box and click Register. A temporary password will be sent to your personal email id. Your registration is complete. Once you have registered, you need to login to your Secure Email account by clicking on Sign-in button. Enter your personal email id and the temporary password. You will then be prompted to set your permanent password for your future logins to the secure email account. Upon successful registration, you will receive an e-mail on your Secure Email containing links to the Student GIC Program Guide and the Application form, with instructions on filling and submitting your application. The Application form would be in a fillable PDF format. Please carefully read the Student GIC Program Guide to ensure you’re filling out your application correctly and completely. The completed application can be submitted through this Secure Email Service or in-person at a designated ICICI Bank Limited branch in India. When submitting your application through the Secure Email Service, create a “New mail” and mention subject line as mentioned in Application form. Please ensure that you attach scanned copies of all required documents along with the completed application form. Please ensure the subject line of your mail is filled out as follows: ICICI SGP – your full name (Given/First and Surname/Last) – your passport number – Investment Confirmation Request. Note: When you register for the ICICI Bank Canada Secure Email Service, use the same email address that you will provide on your ICICI Bank Student GIC Program Application. Once your application is received, it will take approximately 5 business days to process it following which bank will notify you of your application status and provide your ICICI Bank Canada Investment Account Number, if approved. Please keep this information handy as you will need it to wire funds to ICICI Bank Canada from your bank in India. You must wire transfer CAD $10,150 from your bank in India to ICICI Bank Canada (CAD $10,000 will be deposited to your Student Investment Account and the remaining CAD $150 is the processing fee). Please advise your bank in India that ICICI Bank Canada must receive $10,150 CAD in full and any additional bank charges/fees should be provided for and paid by you separately. Please note that international wire transfers may take 5 (or more) business days to reach ICICI Bank Canada. Once you have transferred the funds, please inform the bank through the Secure Email Service. Upon receipt of your funds, bank will send you an Investment Balance Confirmation through the same secure channel. A printed copy will also be posted to you at the communication address provided by you in the application form. We recommend that you print a copy of the Guaranteed Investment Certificate for your records as all communications sent through the ICICI Bank Canada Secure Email Service will be automatically deleted after 180 calendar days. It is essential to attach a copy of your Guaranteed Investment Certificate with your study permit application when submitting to the Canadian visa office in India. Please visit any ICICI Bank Canada branch upon your arrival in Canada to set up a personal account and complete the registration process. CAD$2,000 plus any accrued interest will be deposited into your personal account immediately. CAD$8,000 will be deposited into a 1-year fixed term GIC. The GIC principal and interest amount will be automatically deposited into your personal account in 12 equal monthly payments. Above content is taken from the ICICI Bank official website for more information yo can Visit ICICI Bank.